WCAMP volunteers working on Oregon Spotted Frog habitat restoration! Worldwide, many amphibian species are experiencing dramatic declines in population abundance and density due in part to habitat alteration, emerging diseases and climate change. In addition, many amphibian species that inhabit urban and suburban areas are threatened with habitat loss and degradation caused by increasing urbanization and resulting in declines in amphibian distribution, abundance, and diversity in urban areas. Understanding the effects development on amphibian populations is becoming increasingly important so that we may better manage our urban populations and prevent extirpations of species from their natural ranges. 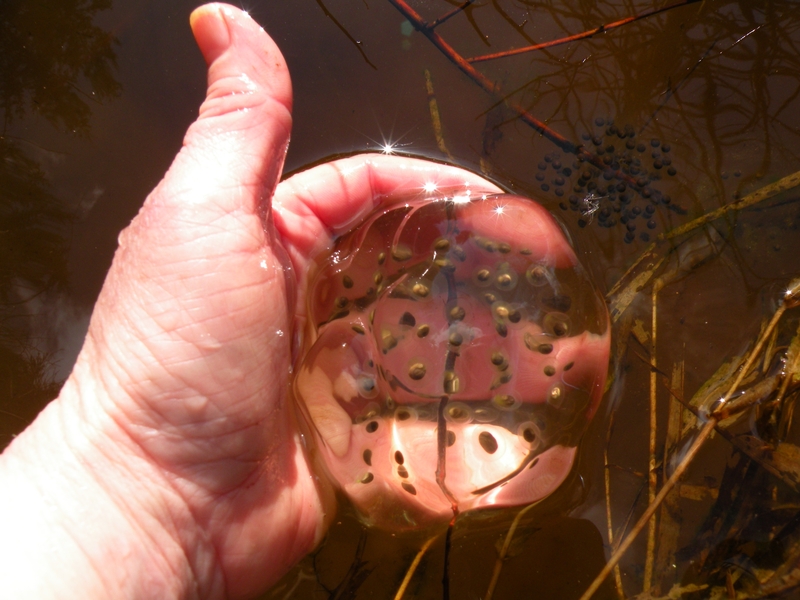 Whatcom County has experienced significant growth over recent years along with severe range contractions of species such as the Western toad (Anaxyrus [Bufo] boreas). Within Whatcom County, we know very little about which species are present, their distribution, and population trends. This project is intended to provide this missing baseline information. To meet this goal, the project uses a “Citizen Science” approach using a network of citizen volunteers to collect scientific field data. This not only allows the collection of large quantities of data, but also promotes public engagement and increased stewardship and protection of these organisms. All of our Citizen Science volunteers are trained in amphibian identification and safe methods of data collection that keep our amphibians safe from damage and disease. This project is a program under the Wildlife Conservation Trust (501 non profit) which focuses which assists in funding and supporting wildlife research projects.